I’ve just added another feature to my blog. This one is ClustrMaps. It will show where in the world my visitors are from. I’ve seen it on a few of the blogs I’ve frequented of late and thought it was an interesting feature to have. After a thunderstorm rolled through last night, this morning dawned bright and sunny. I wished I had the time this morning when I left for work. Running late like usual, so even though I had my small Kodak digital camera in my purse, I couldn’t take the time to go snap pictures. The fog, backlit by the sun, rising over the river was spectacular. Earlier today some heavy rain accompanied by thunder rolled through. A couple of times, the weather forecast on the radio warned of grim weather coming our way. I had to check The Weather Network to confirm the local reports. Heavy rain, thunder, hail (stones large enough to cause damage), and high winds – possibly even tornadoes. Up until about 10 minutes ago, the sun shone brightly. The clouds are starting to move in. For a brief time the winds picked up, too. Now all has settled down again… but for how long? I bought my tickets for the May 7th workshops when I was out and about on Wednesday. The morning session is How to Find an Editor and Why You Need One. The afternoon session is How to Write Effective Dialogue. Since going back to my manuscript file this past Wednesday and actually working in it (I know – pretty amazing, eh?) after successfully avoiding it for some time, I’ve managed to add 1964 words. It might have been more than that but everytime I put it down and went back to it, I changed things… found better ways to say stuff in fewer words and then added more in other places. My word count has jumped to 99347 and this is only Part 1! But there is a major purge coming so I will likely lose a good chunk of them. However, with the change in direction I’ve gone in, I could be back up to that and higher before I finish this particular segment. The only problem I can foresee with this week’s work is I’m going to have to go back and incorporate some of the techniques I’ve learned at recent workshops into earlier portions of my WIP. Maybe I should tell my WIP to RIP and start a totally new project? I’ve not posted anything since I wrote about the writing workshop. Since then, I’ve been busy writing whilst managing to avoid my manuscript. I’ve got three short stories completed – one of which I mailed off today to the Writers’ Union of Canada’s Writing for Children contest, one possibly will be an entry for the Scene of the Crime Festival’s annual contest, and the third just to increase my inventory of stories since you never know when you might need one for something. Yesterday, and the day before, I worked on a re-write of a short story I did a number of years ago called Dracula’s Castle. Only today did I open my two manuscript files. This morning it was formatting only to eliminate “Tabs”. If there are any left in either file, then they are hiding well and truly deeply. After coming home from mailing my contest entry, I actually opened the first file and found the revisions I made after attending Brian Henry’s Writing for Children & Young Adult workshop and have them (and a few more) incorporated into Chapter 1. Now that I’ve had the opportunity to let the knowledge I absorbed from today’s workshop digest, I think I can finally relay what I learned from it. The presenter, Robert G Johnston is the self-published author of Vinland The Beginning http://www.vinlandthebeginning.com and Vinland The Ragnarok http://www.vinlandragnarok.ca/ – novels based on the Vikings arrival in Canada. His presentation was excellent, well organized and thorough. Robert’s willingness to share his self-publishing journey which is just recently finding its place in the e-book world, is a demonstration of his commitment to helping fellow writers. Today I’m off to a self-publishing workshop. It should be interesting, especially with the current move by many authors to try this route with their novels and other shorter pieces. The timing (for me anyway) for this subject is perfect. I’ll post more about it after I’ve been and let everything sink in. It could be rather overwhelming at first. Why did you decide to write crime fiction rather than another genre? I suppose it was because my preferred reading has mostly been crime, although I went through a horror phase as well. I started out with Agatha Christie when in my early teens and progressed, through time, to the darker stuff. Maybe that was because I took a detour by reading Stephen King, James Herbert, Dean Koontz and many more like them. I still read Dean Koontz, I think he’s a fabulous writer. I also remember reading Bram stoker’s Dracula at an early age, as well as Frankenstein, although I never thought Frankenstein to be very scary. However, the first book I wrote was a saga. It was actually recommended for publication by the Romantic Novelists’ Society (RNA) but my timing was wrong, because this was just as sagas were going out of fashion. I still have the novel in my bottom drawer. 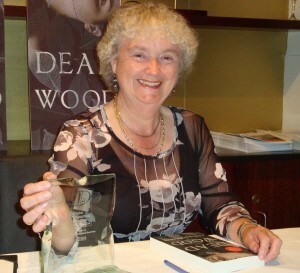 What was your reaction when you got the news that you had won the 2009 Dundee Book Prize? I was informed over the phone, and honestly I didn’t quite believe it. The woman on the other end of the line said, ‘Are you sitting down’, and I replied, ‘Do I need to be?’ When she told me I thought it was a wind up, but she assured me that I really had won it, and I believed her. However, after I hung up I started to doubt again and was convinced it was a scam until the letter from the Lord Provost of Dundee, arrived a few days later. I understand you weren’t to tell anyone. You found out in November but couldn’t say anything until the following June when it was awarded? How did you manage to keep that exciting news bottled up? When I got the news I was bursting to tell someone and I thought the two friends who are my readers at the editing stage should be the first to know. That was before the letter arrived stating there was a moratorium on the information. So it was immediate panic stations and I was terrified they would take the prize away because I hadn’t stuck to their criteria. I had to swear my friends to secrecy, and we became secret agents, one, two and three. It was difficult for all of us to maintain the secrecy but we managed it. Even my closest family didn’t know. 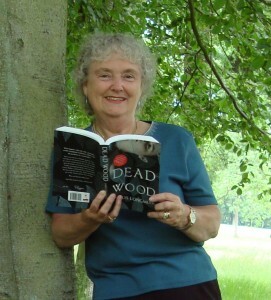 Dead Wood wasn’t your original title. Why did the editor want to change it? That’s right, my original title was ‘The Screaming Woods’ which I thought was a pretty good title. It wasn’t actually the editor who wanted it changed, it was the panel of judges who awarded the prize, and quite frankly, I would have stood on my head if they’d asked me, so it was a no brainer to agree. Why did you decide to go the indie route with Night Watcher? A variety of reasons I suppose. I’ve always been a bit of a techno geek, and I own a Sony Reader as well as a Kindle. I like electronic gadgets. I could also see that ebooks were going to be the future. They will never entirely replace printed books but I think they are starting to give traditionally published books a run for their money. Besides I find traditional publishers are only currently looking at celebrities and the big names in writing. It’s all to do with who will make them the most money. For me it has been a liberating experience going down the Indie route. How are the sales going on Amazon and Smashwords? Are you pleased with the results so far? Sales are going quite well with books trickling out regularly. I’m not in the top 100 yet, but it’s early days. Most authors don’t write to make shed-loads of money anyway, they write because they have to. It’s a compulsion. What we write for is to bring our books to the people who enjoy reading them. I acquired quite a big fan base for Dead Wood and was always being asked when the next one was coming out, so I’m hoping I can do the same in the electronic market with Night Watcher. I’m quite satisfied with the results so far. How do the royalties differ from Amazon to Smashwords? That’s a difficult question for me because money was the last thing I was thinking about when I put Night Watcher up. My recollection is that Amazon has two rates – 35% and 70%. You can only get the 70% rate if your book is priced higher, can’t remember if it is $2.99 or $3.99, and distribution expenses are deducted from that, no expenses are deducted from the 35% rate. I’m on the 35% rate through choice, however the higher rate is only applicable to the US and I am in the UK, so it doesn’t make any difference. Smashwords gives a higher rate but I can’t remember what it is, bear with me while I go and check it out. Okay – Smashwords keep 15% and the author gets 85% minus any Paypal or credit card charges. Not sure how it works when it goes out to other sales points. For example Night Watcher is already despatched to Barnes and Noble, Kobo and Diesel, and is on the brink of being despatched to Apple and Sony, so I reckon it’ll be the above percentages of the price Smashwords gets for it from these retailers. It certainly beats the 8% I get for Dead Wood from my print publisher. I know you’re currently working on a project, can you tell me a bit about it? I actually have two projects on the go. A historical crime novel and a contemporary crime novel. I’ll tell you a little about the contemporary one. Again it’s a dark crime novel with a psychological theme. It’s the story of a family where a child went missing six years previously. This is tied in with the present day murder of internet paedophiles, and there is a link to the missing child. The family are completely dysfunctional and there is no doubt that it is one of them who is the murderer. But which one? And there is also the unanswered question as to whether the missing child has returned and is seeking revenge. 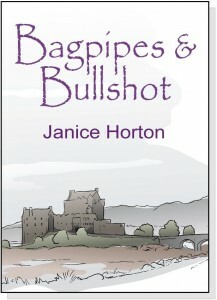 You followed the success of Janice Horton’s Bagpipes and Bullshot Amazon launch. Will you do something similar with your next indie book? Will you launch simultaneously on both Amazon and Smashwords to take advantage of a wider market? I’d certainly like to. However there is a disparity of time in uploading to Kindle and Smashwords. With Kindle you are there for sale immediately the upload is complete. With Smashwords there is an approval period and my book was only approved for the premium catalogue on 7 April, although it had been uploaded in March. I think the time lag depends on how busy they are. Who are your favourite authors? Why? Another difficult one. I like so many authors and often it’s a case of who I am reading at the time. 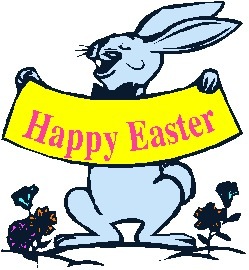 However, firm favourites are – Dean Koontz, Jeffrey Deaver, Val McDermid, Alex Gray, and Aline Templeton. I also like Ken Follett because he tells a good story. I’m not a classic fan, I find the books too slow, so I suppose my tastes are for the fast paced modern stories. I like suspense, I like a roller coaster of a read, and that’s what I try to give my readers. I like technology. I upgrade and build my own computers, and just recently I’ve been itching to build another one. Not that I need to you understand, because I already have three desktops (two PCs and a Mac), two laptops (an ancient PC and a MacBook), a Linux netbook, and an iPad. You’d think that would be enough for one person, but I just like building them. I also like to spend time with my grandchildren and have just returned from a Euro Disney trip with them. I’m hopeless at housework, gardening and all the other domesticated things that I really should take an interest in, but don’t. If you really want to write you’ll write. However, don’t expect to make a fortune unless your name is JK Rowling or something similar. You’ll need stamina, determination, and the ability to take criticism and use it to your benefit. You’ll get a lot of knockbacks from publishers and agents so you need to be able to deal with that and always remember a knockback doesn’t mean your work isn’t good. It’s also beneficial to be part of a writer’s group, and if you can acquire a friend or two to give you honest feedback, value it. I think you’ve found out a lot already so I reckon it’ll have to be background stuff. Okay, here goes, I left school at fifteen with no qualifications, did the Open University in mid life and got a BA degree, and then a postgraduate course at Dundee University. Later studied criminology and got a certificate for that. I worked in a variety of jobs but became a social worker after I gained my degree, and then climbed the career ladder finishing up as an Assistant Principal Officer for the Local Authority. I took early retirement to concentrate on my writing. I was married but am now widowed. Had two children, and subsequently five grandchildren. I also have a cousin in Canada. Orley McKenna is an American cowgirl. Innes Buchanan is the Laird of a run down Scottish estate who is in the state of Texas looking to save his home from ruin by seeking out a cattle expert to help him breed a hardy new herd back home. By the time he returns to Scotland he’s found his new cattle expert – Orley – but to complicate matters, he’s fallen in love with her. Back home, Davina MacKenzie waits for Innes to return. They have been arranged in marriage and she is determined to see it through even though his plans no longer include her. Lady MacBeth has nothing on Davina when it comes to what lengths she’ll go to in order to marry a man with a title. Fergus, Innes’s younger brother is madly in love with Davina and would do anything for her, until he discovers her secret. But she isn’t the only one with something to hide. Janice Horton keeps you riveted from the beginning. 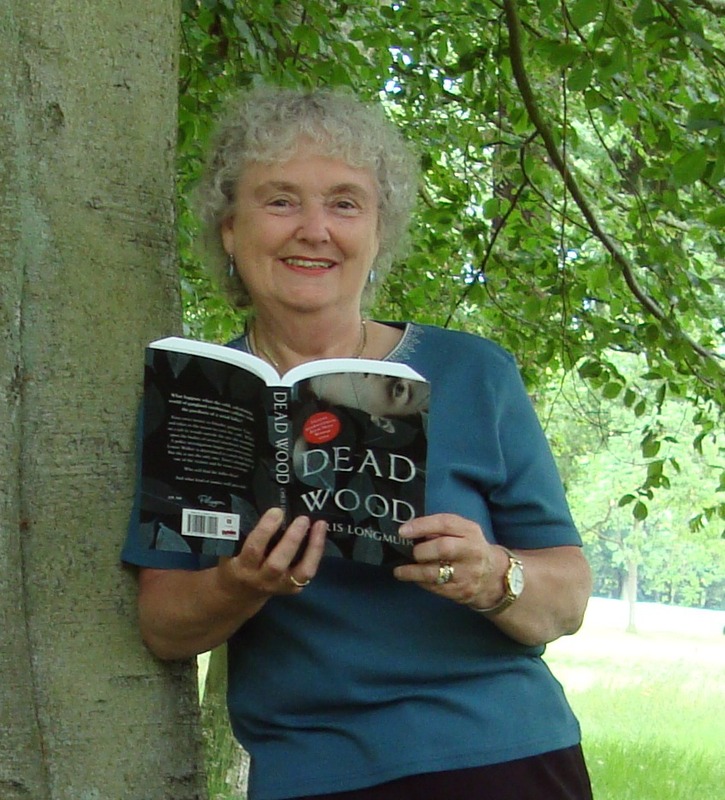 She portrays the beauty of the Gulf Coast of Texas and the ruggedness of Scotland with her descriptive narrative in addition to keeping you wondering what’s going to happen next. 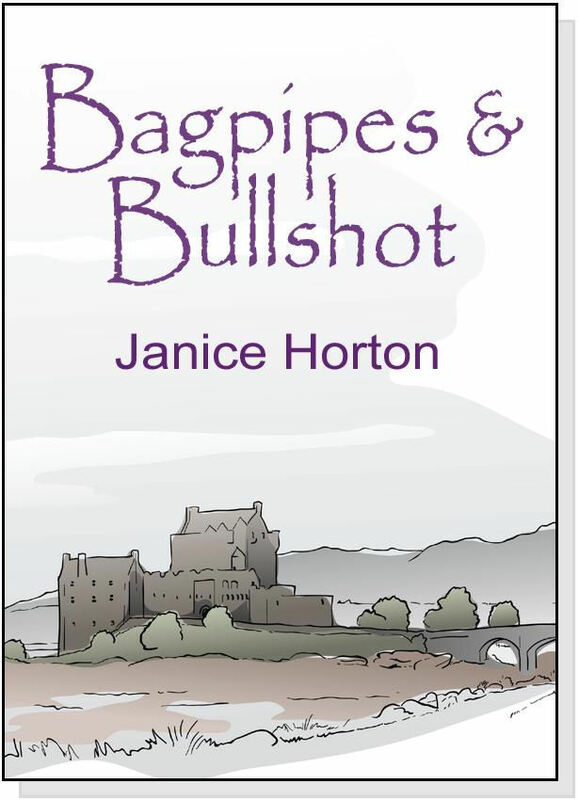 Bagpipes & Bullshot is a definite “feel-good” book and it is impossible not to laugh out loud at some of the situations she throws her characters into. The next thing from Janice Horton on my “to-do” list is to try Bullshot. I’m just not sure if I want the over ice, or the warmed variety will hot beef broth added.